In today’s online shopping-centric world, it’s more important than ever to differentiate yourself from the competition. One of the most popular and effective ways to do that is to invest in something called the unboxing experience. It’s the act of planning your packaging around the moment your customer opens their shipment and retrieves what they ordered. It’s so effective, scores of people are sharing these moments through social media and giving online businesses tons of exposure. 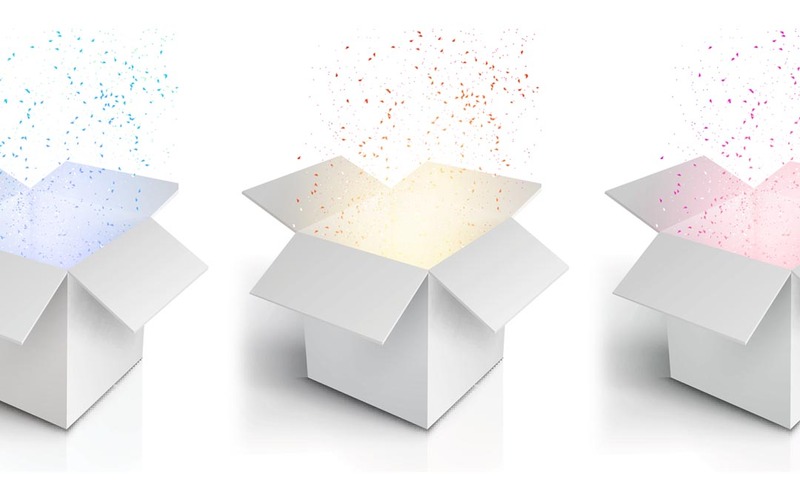 Here’s 4 steps your online store can take to ensure an unforgettable unboxing experience for its customers. Balance protection with presentation. A corrugated box always works, as it provides both the protection of corrugated walls and the presentation tactic of opening tabs and flaps—especially custom colour boxes. But what about using a mailer envelope? It’s an unexpected shape, easily stands out from a stack of boxes, and some styles are lined with bubble cushion for protection. But, it also encourages the visceral act of ripping the mailer open to get at what’s inside. Both options are great and can inspire a different unboxing experience. So, now that the outside’s all set—don’t forget about the inside of your packaging. Want to look classy, exclusive and luxury? Custom tissue paper will accomplish that. Want to make your customers smile and stare? Bubble Wrap® IB Expressions will stop them in their tracks. Want them to dive in, burying their hands deep to retrieve their order? Packing peanuts are tactile, loose, fun to play with and protective like any other void fill choice. Be strategic and have fun. The combinations are pretty potent. Don’t let the surprise of an unboxing experience end with the unboxing. By that point, customers are simply expecting to get their hands on their order—but imagine the excitement of seeing more waiting for them inside. A few pieces of delicious candy are a great way to sweeten the moment, as are little gifts or bonuses that relate to their purchase. Items like product offers and discount codes are always welcome, and improve the chance of them rebuying from you. Beyond that, probably most appreciated is a personalized thank you card. Use their name, reference their purchases, and you’ll make their day. An unforgettable unboxing experience doesn’t have to end with the packaging. Plenty of businesses forget that how you position the product itself can add to a customer’s impression. Sure, unfolding custom tissue paper to see their order waiting for them is an exciting reveal. But what about placing the product upside down, so the customer has to pick it up and turn it around, adding an extra few seconds of exciting tension. Or, wrapping the product in such a way that it rolls out of the custom tissue paper, announcing itself with an “I’m here!” feel. Staging the product is an extra step that plenty of brands don’t take advantage of nearly enough. With all the choices you’ve made, we bet you’ve got some good-looking packaging. That right there is number one for encouraging customers to share it on social media. But, if you’re game, you can make that encouragement a little more blatant. Some online stores actually print sharing suggestions on the inside of the box—essentially, a “Like what you see? Show it off!” headline with a listing of their social media accounts for tagging. Some stores that are seriously gung-ho even offer the promise of a discount coupon code once you’ve shared their packaging. We think that’s a pretty cool quid pro quo. Packaging can be a seriously smart extension of your branding. Done right, it’ll create an unboxing experience for customers that is simply unforgettable. Grab your boxes, your tissue paper, your thank you cards and anything else you want to add into your shipments. Your customers will totally dig you for it.